At the intersection of the Upper East Side and Midtown East, there has been a surge of new development, starting with the newly-iconic 432 Park Avenue, by Macklowe Properties. And now we have the first full rendering of the same developer’s plans for 200 East 59th Street, designed by CetraRuddy, thanks to the YIMBY Forums, where EB-5 materials for the project have surfaced. YIMBY previously revealed the first renderings of the building back in November, but this image is the first to show the whole tower, which will feature wraparound terraces on every floor. Obviously Macklowe has experience with sky-high development, given the firm’s work on 432 Park Avenue just two blocks to the southwest. 200 East 59th Street will be a fair bit shorter than its Vinoly-designed neighbor, but it will make an equally appealing (though slightly less noteworthy) addition to the skyline. The tower is set to rise 35 floors and 490 feet, with a total of 67 units splitting 99,848 square feet. 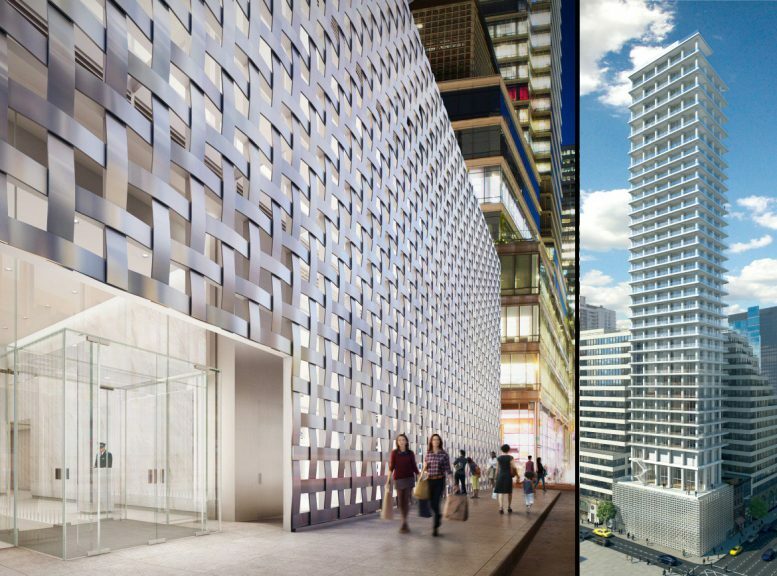 The base will feature a 14,861 square-foot retail component, with a metallic facade that takes inspiration from a woven basket. Above, the design will be decidedly modern, with the wraparound terraces and visible columns. Floor-to-ceiling heights will be enormous, which is normal for new condo buildings in this neighborhood, and simple math of 490/35 yields average heights of 14 feet. The rendering would indicate that they probably start somewhat below that number and end up somewhat above it as the building gets taller, with the top six floors appearing to have the highest ceilings. 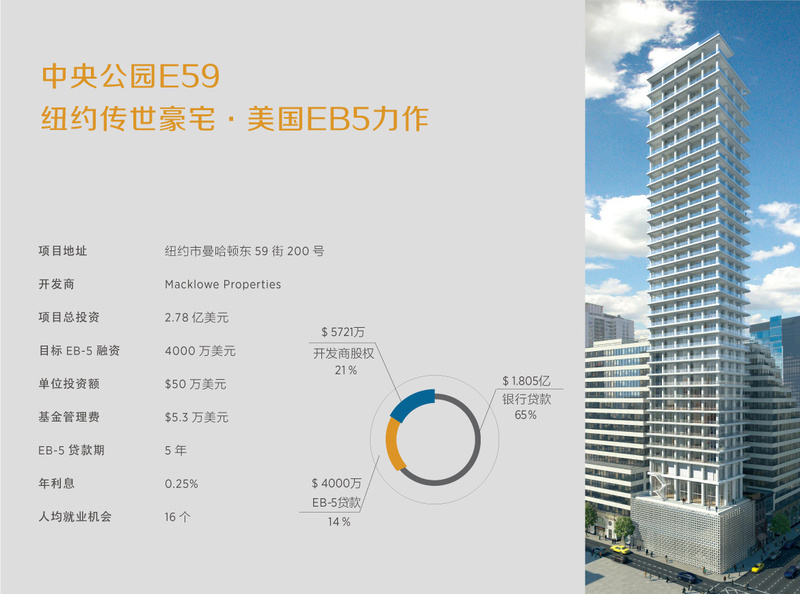 Per the EB-5 information, the building will cost $278 million, with $40 million coming from EB-5 financing (between 80 investors). We have also heard that the design in the EB-5 filings will see a few minor revisions, but is mostly accurate. Completion is expected by the end of 2017.